As part of the Careers Education programme, students in Year 10 undertake a week of work experience during the last week of Term Two. 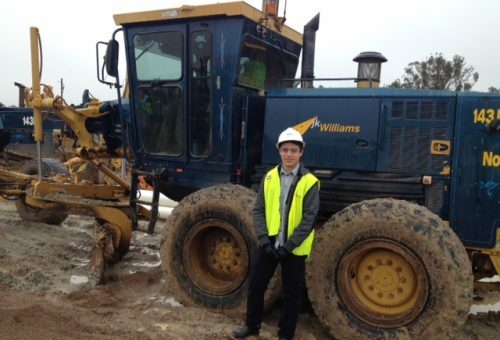 From learning about their skills and abilities, the changing work environment and applying for a job, the Work Experience programme brings their learning to life and gives the boys a taste of what work is really like. The occupations experienced are many and varied.They include advertising, architecture, real estate, accounting, law, engineering, construction, information technology, physiotherapy, medical research and sports administration just to name a few. The week gives the students an insight into the daily routines of the various occupations as well as an appreciation of the workings of a small business or a large corporation and how each person has a role to play in the overall workings of these businesses. Students also learn to be independent as they get themselves to and from work experience. It instills in them traits such as punctuality, responsibility and maturity along with a sense of achievement from all they will learn and do during the week.